Dogs are known for a sense of smell so powerful it can detect danger and diseases in humans. Often guard dogs and companions, we consider them our best friend. But as an upcoming study from the University of Arizona (UA) aims to prove, dogs may also be man's best medicine. UA researchers hypothesize dogs have a probiotic effect on human gut bacteria. The human digestive system is home to more than 500 types of both good and bad bacteria. Probiotics are often called “good” or “helpful” bacteria because they keep the intestines healthy and also assist in the digestion of food, says the Mayo Clinic. It is also believed they enhance immune system functioning. Typically, hundreds of probiotic species can be found in yogurt, dairy products, and pills. Certain species have been shown to help childhood diarrhea, irritable bowel disease, and bowel infections like Clostridium difficile. Probiotics’ special characteristics allow them to withstand the harsh conditions of the GI tract and allows them to survive with other enteric microorganisms. For the upcoming study, Kim Kelly, a study investigator and anthropology doctoral student at UA and other researchers will test whether living with a dog encourages the growth of positive microorganisms in the human gut enough to improve physical and mental health in older adults. "We've co-evolved with dogs over the millennia, but nobody really understands what it is about this dog-human relationship that makes us feel good about being around dogs," Kelly said in the press release. "The question really is: Has the relationship between dogs and humans gotten under the skin? And we believe it has." The researchers say a dog’s microbiota could act as yogurt and yield probiotic effects on human gut bacteria. The researchers plan to study human-animal interactions between dogs and participants aged over 50, who have not lived with a dog for at least six months. At the start of the study, they will non-invasively evaluate the participants’ gut bacteria, diet, physical activity levels, and immune function. They will also monitor the dogs’ gut bacteria and physical activity levels via non-invasive means. These tests will be conducted after one, two, and three months to evaluate whether there have been any positive impacts on gut bacteria in either humans or dogs. Moreover, they will look for any changes in both the participants’ and dogs’ health and emotional well-being. "We think dogs might work as probiotics to enhance the health of the bacteria that live in our guts. These bacteria, or 'microbiota,' are increasingly recognized as playing an essential role in our mental and physical health, especially as we age," said Dr. Charles Raison, principal investigator for the study and a UA professor of psychiatry in the College of Medicine, in the press release. 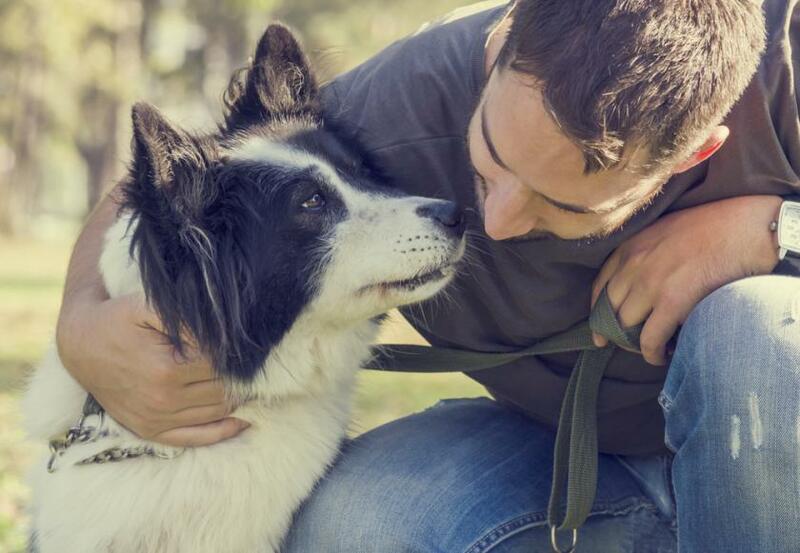 This study sheds light on the dog-human relationship after existing studies show that dogs and their owners share much of the same gut bacteria over time. A 2013 study published in the journal eLIFE found parents may actually have more in common with their dogs than their kids when it comes to microbial life. Parents and their household pets can greatly influence the microbes that live in the body. In the study, sharing surfaces and breathing the same indoor air were found to make it much easier for families to exchange skin microbes than tongue or gut bacteria at home. Moreover, couples who had a dog shared more skin bacteria with each other than non-dog owner couples. Sources: Blue A. “Could Man's Best Friend Be Man's Best Medicine?” UA News. 2015. Caporaso JG, Clemente JC, Costello EK et al. Cohabiting family members share microbiota with one another and with their dogs. eLIFE. 2013.